Forces have conspired to require him to meet with his equal—a woman from another world who has achieved just as much as he has. What happens when the most important man in the world is forced to have dinner with the most important woman in the world? Perfect State is an action-filled novella about privilege, culture clash, and expectations. Check out an excerpt here. The cover illustration is by the talented J.P. Targete, and you can get the novella now as an ebook (with no DRM) at the usual ebook vendors (see links to the upper right). 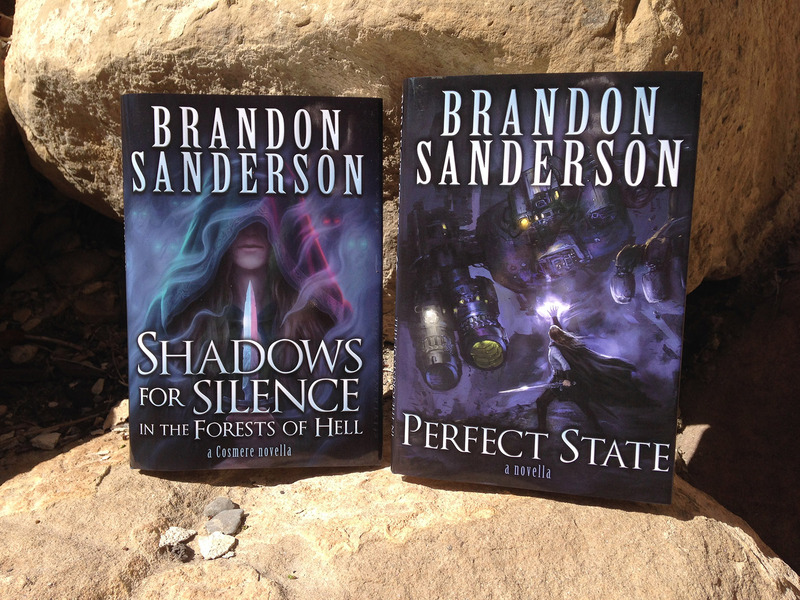 A couple years ago I put out a double edition of my novelettes Firstborn and Defending Elysium, and this year I’m doing the same thing with Perfect State and Shadows for Silence in the Forests of Hell. The double hardcover of these two novellas (they’re printed back-to-back, so there are two front covers) will start out as available exclusively at conventions, before going up on my website store sometime in the fall. If you want to pick one up, your first chance will be this week at Minicon in Minneapolis. Check my events calendar throughout the year to see what other conventions I’m attending. « Newsletter coming tomorrow + Updates » Minicon 50 starts today!